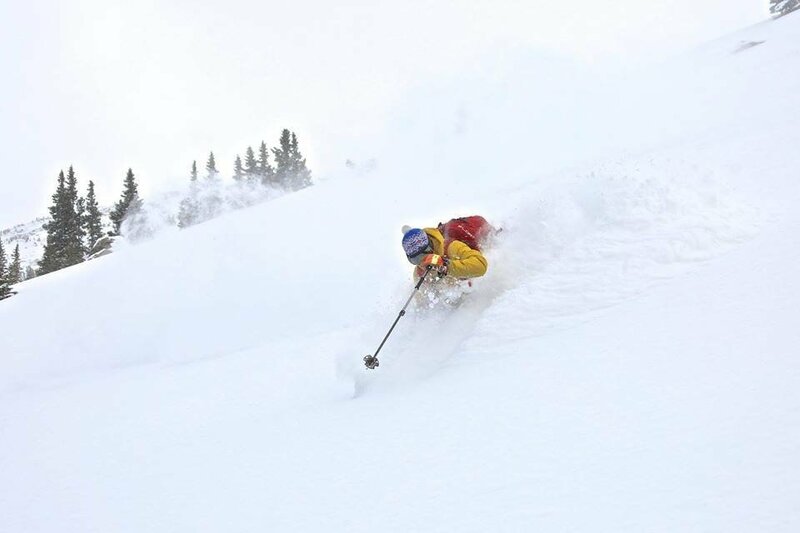 Join Powder Addiction as we host the first annual Colorado Backcountry Workshop in Empire, Co. March 8st - 10th, 2019. This event brings international guides and guests to Colorado’s front range to share knowledge and experience from a variety of perspectives with a focus on group dynamics, communications, trip planning, backcountry travel techniques and ultimately skiing and riding safely together in the backcountry. The Colorado Backcountry Workshop is a first of its kind event modeled after similar workshops that have been held in the Alps and across Scandinavia for over ten years. With the help of local and international guides, teams will work on backcountry skills needed for every adventure but often overlooked in classes and clinics. Concepts of group dynamics, decision making, trip planning, communications, backcountry techniques and risk evaluation and interpretation will all be highlighted and discussed in depth. Come out with Powder Addiction Guides and special guests IFMGA French Mountain Guide, Fred Buttard and Norwegian Avalanche Educator and Snow Expert, Bjørn Michaelsen to learn about backcountry travel, tips and techniques as well as an international perspective on small group dynamics in the backcountry, trip planning, communications and avalanche risk assessment and interpretation. Friday, March 2nd. Ski all day according to planned routes, evaluating terrain, conditions, decision making, group dynamics, communications. Meet up again at PA HQ that evening for dinner, refreshments, debrief of day and planning for Saturday. Sunday, March 4th. Ski all day. Same as previous two days but again in a different locale. This day is an optional day and each group may decide to ski or make it a short day. Guides will be available as long as needed and will be at the disposal of the groups. Following skiing on Sunday, participants depart, having gained new insight and perspective on group dynamics, communications, decision making, map reading, terrain assessment as well as many other essential backcountry skills. The Workshop will begin on Thursday, March 1st, at 6 pm at the Powder Addiction HQ, in Empire, Co. PA HQ is in the old church in town and now known as the place to go for all worshippers of POWDER! Each team will then depart with a set plan for the following day (Friday, March 2nd) to meet up and ski/ride. A PA guide will accompany each group on their tours but will serve merely as a team member, not primarily as a guide. They will maintain radio contact with other PA guides throughout the day however for obvious reasons of accountability and safety. The intent is for the teams to execute their plans, to discuss, evaluate and communicate during the tour and ultimately find the best places to ski/ride. At the end of each day out on the snow, groups will meet up at the PA HQ for another catered dinner and beer and will present on how the day went with an emphasis on group dynamics, if the tour went according to plan, decision making, etc… This is perhaps the most valuable piece to the workshop; reviewing the day out and learning from the experiences while having local and international guide perspectives to contribute to the conversation. Teams will then plan Saturday’s (March 3rd) tour with input from the guides and will carry out the same evolution again on Saturday. Sunday (March 4th) will be an optional day for participants as some may want to have a shorter tour in order to get home ahead of Sunday traffic. Guides and special guests will remain however and will be present as long as needed by the participants.